It was one of those moments. The words were coming out of her mouth and for just a brief moment I thought of Fanny Dashwood, Fanny from Sense and Sensibility, the supercilious superior sister-in-law, the woman who could make an awkward moment magnified a thousandfold just by the squint of her eyes. I knew that I was on to something. I had been reading the serious emotional intelligence and the not so serious self-help books for years and I’d been wondering what a balanced life looked like and suddenly I’d found it. Daniel Goleman seemed to promise that if I could become emotionally intelligent, happiness would be mine. But I couldn’t quite grasp what emotional intelligence actually was. Now, thanks to Fanny Dashwood, and her creator, Jane Austen, I’d finally discovered what it wasn’t. Investigating further I realised that all my favourite characters from my Jane Austen novels had, at least by the end of the stories’ plots, learned such emotional intelligence skills and were indeed on the path to happiness. All I needed to do to find happiness was to read Jane Austen for her truths, some of which are universally acknowledged, while others are universally ignored. But it is all there – the falling in love, stuffing it up, sucking up to the self-important relatives, reading people wrongly and when all seems a little too much, choosing honesty over superficiality. And so, dear reader, finding out the universal truths for living one’s life is really what this entire book is about. It’s my quest to find happiness through Austen. And indeed, although I shouldn’t give away the ending in the first pages, that is exactly what I did find. Lurking in Jane Austen’s world are the very keys to happiness! Throughout Austen’s real world, (1775 – 1817) and her fictional world of the Austen Six, it is a recurring truth that to find happiness one must first be happy with oneself. And acknowledged throughout the ages by ancient philosophers and modern psychological happiness gurus, we encounter the same message: if we cultivate integrity and a sense of appreciation for what we have contentment might just be the consolation prize. Jane Austen, loved for her comic regency romances, has implicit in all her stories the philosophical means to a happy life. As her heroines struggle to find true love, they also find what matters in life. And knowing what matters in life ultimately brings happiness. From Epicurus to Aristotle, from Carnegie to Seligman, the messages are similar. To lead a good life, we need to face up to our ethical struggles, not just in the big things but in the small things too: treat others, as you would like to be treated; show compassion for those less fortunate; surround yourself with true friends instead of hankering after the hollow. Jane Austen managed to reveal all this to me in her six glorious novels. Jane wrote of the domestic; she wrote of the everyday life. This she humbly described in a letter to her nephew, James Edward Austen. As a young man he had dabbled in writing as many of the Austens did. His mother had informed Jane that he had misplaced two and a half chapters of what he had been working on. In a highly spirited and satirical letter she writes to James that she could have stolen them. 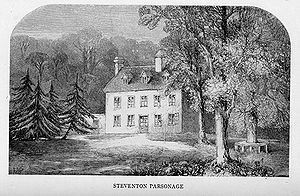 “It is well that I have not been at Steventon lately, & therefore cannot be suspected of purloining them; – two such twigs & a half towards a Nest of my own, would have been something. – I do not think however that any theft of that sort would be really very useful to me. What should I do with your strong, manly, spirited Sketches, full of Variety & Glow? – How could I possibly join them on to the little bit (two inches wide) of Ivory on which I work with so fine a Brush, as produces little effect after much labour?” Jane is ironically acknowledging the criticism that is sometimes posthumously leveled at her that she is of the domestic rather than the political. Yet to me it seems that this is her strength. She has found the truths in the everyday and because they are truths they are universal. It seems to me as I sit in my very 21st century existence, she is able to bring to life the major philosophical questions and show what an emotionally intelligent being looks like. Beloved characters such as Elizabeth Bennet, Fitzwilliam Darcy, Marianne Dashwood, Emma Woodhouse, Fanny Price and Anne Elliot are not perfect – indeed like all of us they are flawed, but that only adds to their charm and realism. Through timely trial and error they come to know themselves and learn how to treat other people. Is this what I needed to learn? That it is essential to know ourselves in order to find true happiness without the jargon, without the cliché but with humour and passion. Hers is the pathway of the everyday, of the world that I live in even though the clothes and manners of the Austen Six are somewhat different from the world of today. I have decided that if Jane Austen were alive today she might be a Buddhist leaning electric bike rider: Buddhist leaning because of her apparent simple views on the practice of religion and her detestation of the evangelical or even preaching type of religion. (Alas very few of her thoughts on this matter survive which of course gives me more liberty to suggest what I must admit to be highly outlandish opinions.) And her preference would be to walk or cycle rather than drive. I base this assumption on her very real joy of walks and her willingness to ride a donkey, despite the lack of glamour, when she was living in Chawton. Jane was not one for the showy and superficial. She would have a thriving vegetable garden but she would need a flat mate or friends to help her sustain it as she would be living a very busy life working and writing. This is indeed what happened in her 18th century life; she indulged in the passions of the garden and cooking but left much of these chores to her mother, sister and friend who lived with her. No doubt a modern Jane would use Facebook and other networking sites to keep in touch with her friends but she would not covet ‘friends’ just to get her count up. Indeed she would be one of those people who would be satisfied with the loyal friends she had accumulated throughout her life. She might not have married but she would have had many chances (as she did in her life) and she would live a creative life with a job in the arts or writing. Although at times struggling with the modern expectations that one should have it all, she would be on the whole satisfied. Fortunately for me she cannot contradict me! But more fortunate, she left a body of work that fascinates and resonates even today suggesting that happiness can be found when following her intrinsic, albeit implicit guide . Let us get this straight from the beginning, romance was an interest of hers but her books are so much more than the sum total of the various successful couplings. Her books are, I believe of a philosophical bent. Not the serious philosophy of the intellectual white male variety but the everyday domestic philosophy of the home; an environment that women tend to inhabit. And – I will get this out of the way – I haven’t found it an easy place, since having three children I have been forced to inhabit it more so than ever before. I was in need of an obsession, a quest that could transport me away and that is exactly what I found when I embarked on this very personal project to find happiness Austen style. I know this whole book is on shaky ground; as if a series of six books written 200 years ago can become a recipe for how to find happiness today in our modern world! Perhaps my mighty revelation was brought on by the ABC screening of Pride and Prejudice, the BBC serial from the eighties. Watching it one night with my adolescent daughter, we were both enthralled.There is something deeply satisfying about sharing such gems with one’s offspring. Then the next morning, I finished Carol Shields’ biography of Jane Austen. Shields had written this just before she died. Such a poignant note: one creative literary dying woman writing about another who had died equally early and untimely. ‘We had three generations watching it” she replied. Here I was with a complete stranger sharing such inner moments of joy. Was Jane a secular saint? Not in terms of her own life. Well this is perhaps nearer the mark but very outdated, very last two centuries. Perhaps it is this aspect of her life that I felt held the key to her influence on me. Jane Austen’s novels,as well as being literary masterpieces are full of deep psychological truths of her time, and ours. The Austen Six teach us how to be. They wish for us the self growth of the characters. The characters we grow to love are the flawed characters that are prepared to change. Through self knowledge they rise to be more that they at first appeared. For those who feel the films may just be enough, let me say they are a fine way to begin but eventually, at some time, the novels themselves will ring their sirens for you; and as Ulysses was unable to resist so you too will read them all for yourselves. Meeting the modern day versions of the Austen characters in my own life lead to my quest, as once I’d discovered my very own Fanny Dashwood, I also found a Lucy Steele and a Mary Musgrove. Today as a footballer falls from grace I think of Callous-Captain Tilney who exploits all women using his socially advantaged position. I don’t like to admit this but I even discovered my own negative nemesis, Mrs Bennet. As a young girl I was much more the Spontaneous-and-Sentimental-Marianne but as the older mother I am ashamed to admit a similarity at times (only at times mind you) with Mrs Bennet. And in meeting these characters, and seeing them in my own life, I came to realise the power of Austen. Austen’s characters truly live beyond time. They live in the everyday of every time. They are indeed steeped in universal truths. In reading and then re-reading the Austen Six it was as if I found a key that would open the secret for me to finding a life of happiness. 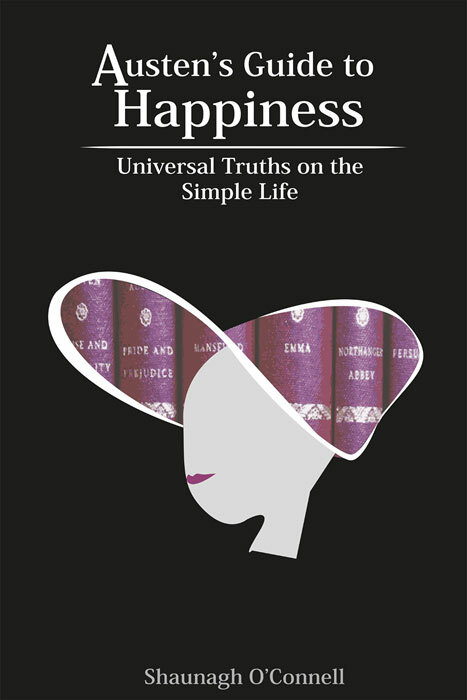 It sounds grandiose, it sounds too trite to be true,nbut by unlocking Austen’s universal truths in her novels, I came to better understand the way to happiness in my own very very small life. Like a disciple coming to her for guidance, I saw her as a female icon. Yes, a philosopher. But a female philosopher who has peculiarly female things to say about life; the life lived not in the sophisticated world of the nightly news, CEO’s or academics, celebrities or politicians but the life of the ordinary suburban woman, a teacher, a mother, a sister, a friend. It is a world that not just women inhabit. Both men and women choose to pass the time in the domestic sphere because contentment and happiness can really emerge if only we can slow down. And if all this philosophising is just a tad over done, let’s face it, I can think of no better way to embark on a quest for self discovery than through the pages of a Jane Austen novel. My first post here. I’ve been reading your entries for a little while. It’s sad that I don’t think I have enough time in the day to leave a considered reply. I love that you have such a passion and depth of knowledge on this subject. In the age of twitter and facebook we all seem to know tiny amounts about lots of things but you have grasped something totally and wholly and are not letting go. Thanks for the blog. I will post again.